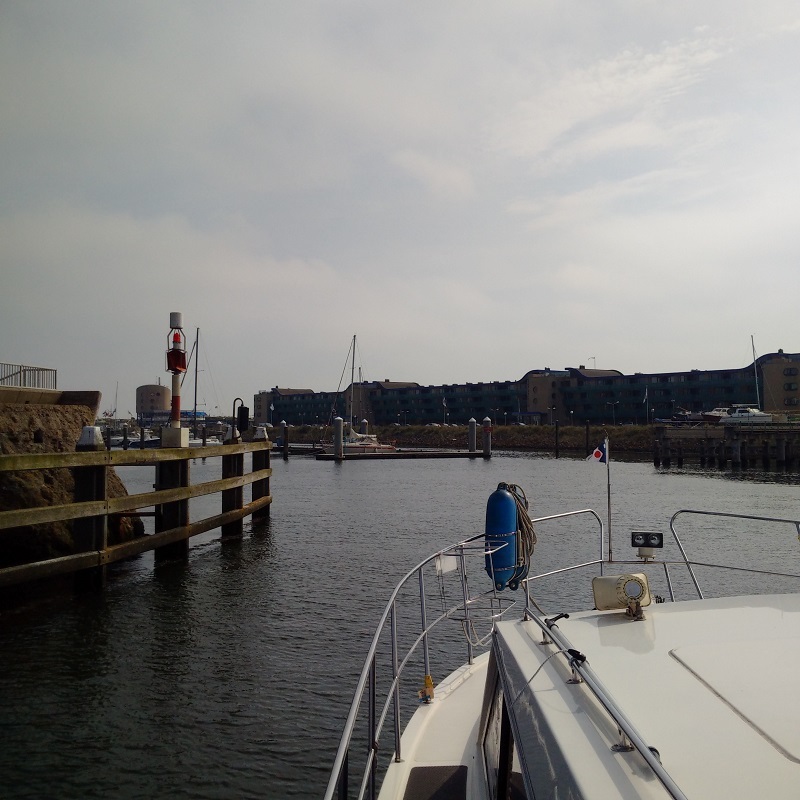 Today, we repositioned Lady Martina from Sixhaven via Beverwijk to Ijmuiden ready for our Dutch friend from Broom, Ines, to join us for our sea passage to England and to provide the preparation for the voyage in all ways. I had researched the weather and concluded that the better day for us to cross the North Sea was tomorrow, which led to some changes of plan. We had planned to take the train to Delft today, to see the Royal Delft factory, and so that plan had to be changed but Kathleen took that in good heart. It is my experience that, given a series of fine days, it is better to cruise at the first opportunity as visibility soon deteriorates days into an anticyclone and forecasts can always change. The first main task was to bring the tender round and then haul it up and secure it on the davits and that took some time and the day was becoming hotter by the moment. Kathleen wanted to do some food shopping but we had to leave that for the other mooring places were already filling up and they would soon need to moor further arrivals stern on behind us, which would have blocked us in. 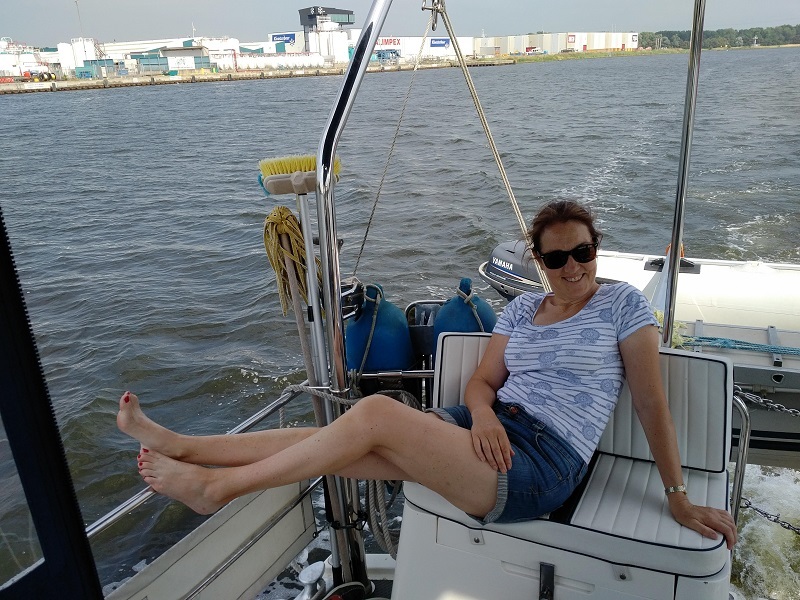 We filled up with water and then left around 12.15pm in the end and I cruised slowly along the Noordzeekanaal enjoying the warm day and settled conditions, making our own breeze to keep cool. I turned into the Beverwijk side canal and made our way to the new moorings. Again, there was nobody moored and we had them to ourselves and Kathleen was able to get ashore for that food shopping as I conducted engine checks and tidied up the boat. The short cruise through the ‘Small Lock’ of Klein Sluis which we could navigate as our height with aerials down was only 5.2m against the 6.2m of headroom that the bridge offered at this state of tide. The alternative for the sailing boats that were waiting was not to get through before 7pm! We found plenty of space in the Seaport marina and had to use a box mooring for the first time; a new experience for Kathleen although I had completed this many times before. 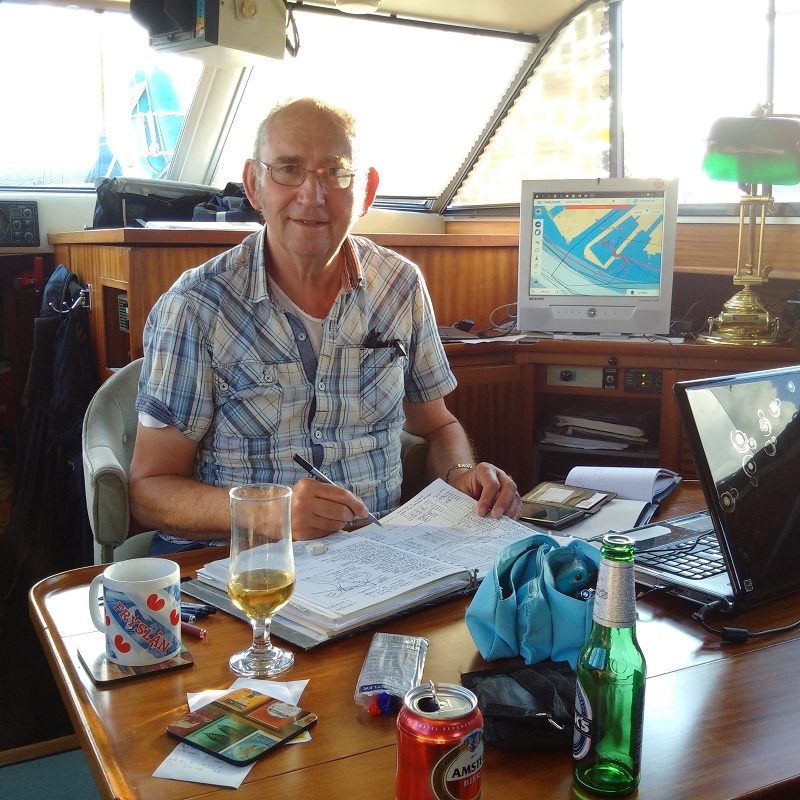 I paid my €33 for a mooring and then planned my sea passage for the next two hours, checking tides, winds and preparing my log book for the passage. Then Inez arrived and we settled her aboard and had drinks and nibbles for an hour or two before retiring to bed with great expectations for the day ahead which would be her first at sea!